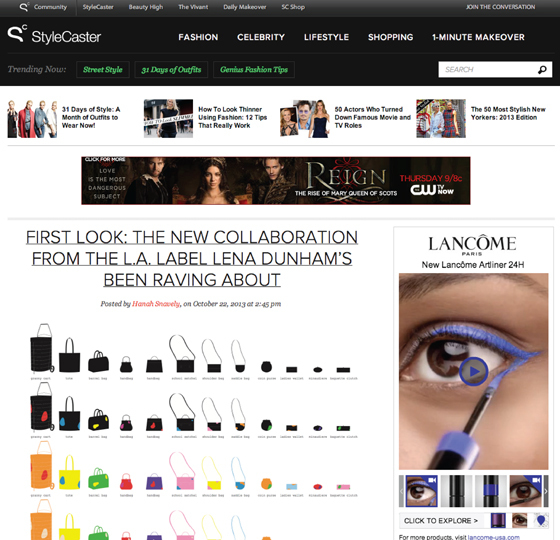 An interview with Miranda July and Laurel Broughton about the upcoming WELCOMECOMPANIONS collaboration on StyleCaster! 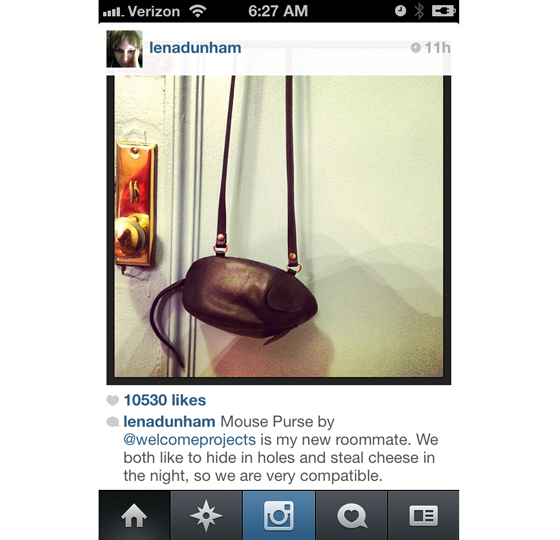 Lena Dunham shows some love for her new companion! Mouse is now available online here and in stores here. 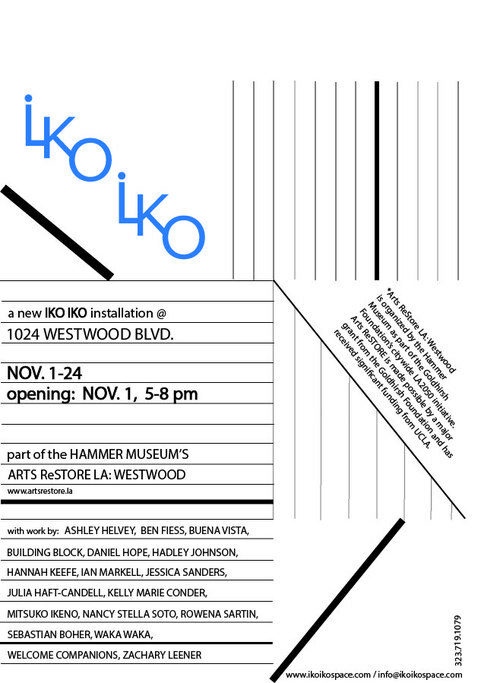 Fall lecture series at Cal Poly Pomona. 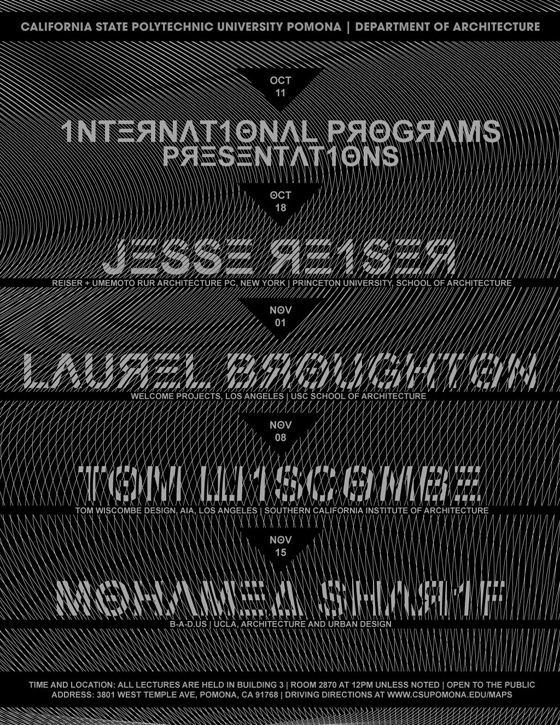 Lineup includes Jesse Reiser, Laurel Broughton, Tom Wiscombe, and Mohamed Sharif. 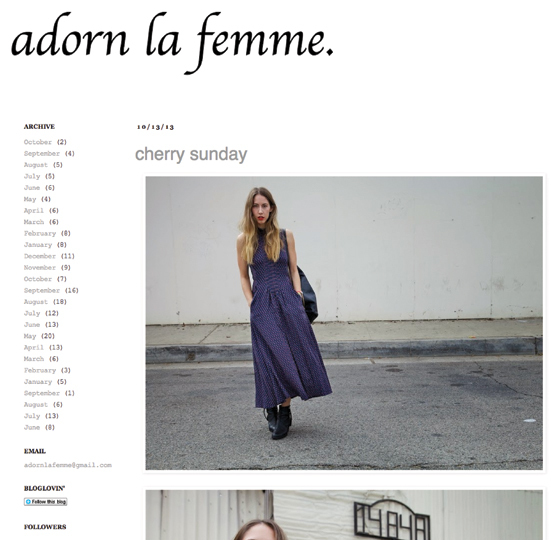 Howlin’ Wolf makes an appearance on Adorn la Femme here.